Okay, so it's not terribly original, but I felt that maintaining a consistency with the blog was important. 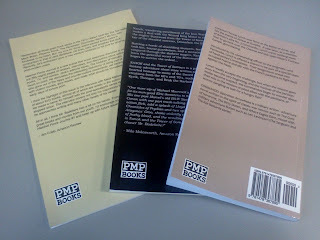 From this point forward, all my e-titles will be listed on Amazon as "Published by Post Modern Pulp Books", and the PMP BOOKS logo appears on all the print copies. Notice is also given on the page with the copyright and so on in both the print and digital versions of everything. 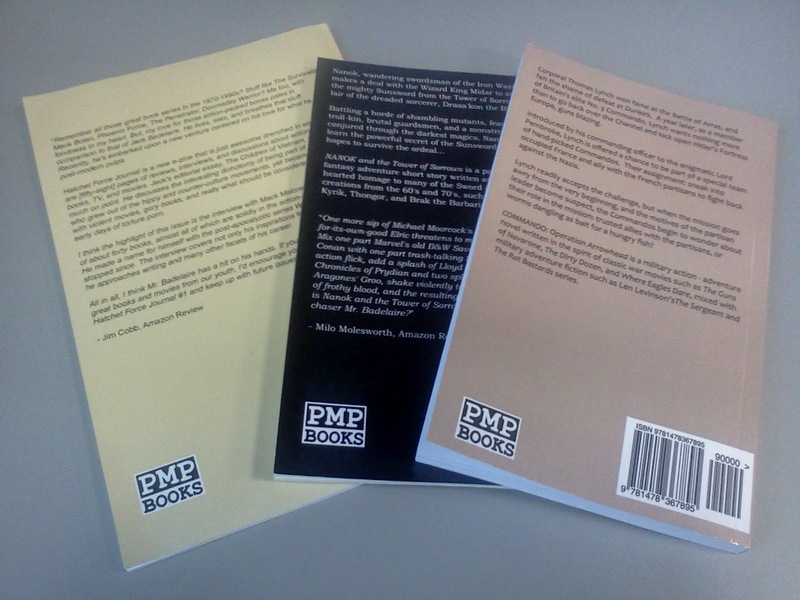 These days, with the power that various DIY resources and social networking provides you, anyone can become their own small press, and I feel it helps to reaffirm that those of us who are not going down the traditional publishing routes can still create and distribute legitimate products without the stigma of it being handled through a "vanity press" or similar venue. The Killer Instincts cover will get the logo in September when I begin to roll out other e-formats after the KDP Select license agreement runs out. I recently posted a fan short from Youtube, Punisher '82. It appears that those filmmakers aren't the only ones who want to give us more of Frank Castle's high-velocity form of vigilante justice. I've had a pair of Matt Helm thrillers on my pulp paperback bookshelf for several years now, but I never too the time to give them a read. For one, both of the books are fairly well worn, and I always get nervous reading paperbacks that are too brittle or stiff for fear of damaging them. Of course, if that's the case, they're just taking up space, right? Sooner or later you have to take the chance and give it a delicately-handled read. After James Reasoner, in his blog review of my novel Killer Instincts, compared my main character in some ways to the earlier Helm adventures, my curiosity was definitely stirred. So, having some free time recently, I grabbed the earlier of the two books, THE SHADOWERS, and gave it a read over the course of two evenings. 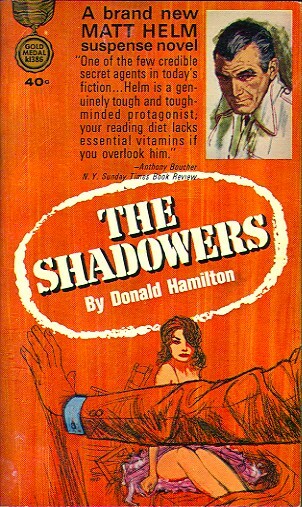 THE SHADOWERS is the seventh of the Matt Helm stories written by Donald Hamilton. The main character is a "counter-agent" for an unnamed, shadowy branch of the US government, tasked with finding and eliminating or neutralizing enemy spies. In this book, Helm returns to work after a tragic accident ends the life of his current occasional love interest. He's assigned the task of guarding a female scientist from a possible assassin, and in order to do so, Helm will have to "fall in love" with her and get married, since it is unknown how long this bodyguard duty will last. The nonchalant manner in which Helm agrees to this romantic charade - even when he is informed that they will legally become wedded to each other - speaks volumes to the character's total commitment to his profession. I won't give away any spoilers, but let us just say that the insights this book gives us into the mind of Matt Helm, secret agent, are very revealing. Overall, I found THE SHADOWERS to be an excellent read. Hamilton's use of the first-person perspective works perfectly because the book is so character-centric. We are subsumed into Helm's consciousness, dunked headfirst into the cold, hard, brutal world of Cold War-era espionage. 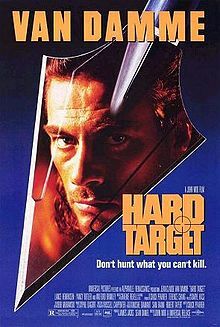 Helm is a man of ruthless violence, who will do anything and commit to it wholeheartedly if it will see the job done. He is cruel, he is calculating, and he is without scruples. That he is ultimately human, with a human being's feelings and regrets, is something that we are shown because we have the unique perspective of living in Helm's head with him during his assignment, but to the outside world, he is little more than a clockwork machine controlled by the toymakers in Washington. Although out of print for a long while now, it appears that most of the Helm books can be found online for a reasonable price through Amazon or other booksellers. I've also seen a report that they'll be reprinted starting sometime next year. If you can get your hands on them, I definitely recommend doing so. I've just ordered the first novel in the series, DEATH OF A CITIZEN, and hope to pick up more as time goes on. 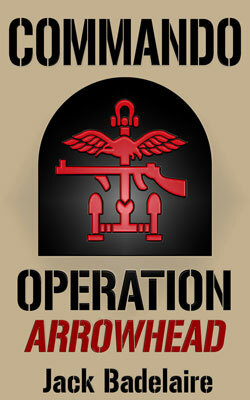 COMMANDO: Operation Arrowhead now Available on Amazon! I'm happy to announce that my World War Two Commando novel is now available for the Kindle via Amazon. Within the next couple of days, I'll be setting up a Gumroad.com page where folks who prefer PDF or EPUB file formats can buy the book directly in a multi-format bundle. In the next week or two, I will have C:OA available in trade paperback via Amazon's Createspace publishing service. "Corporal Thomas Lynch won fame at the Battle of Arras, and felt the shame of defeat at Dunkirk. A year later, as a member of Britain's elite No. 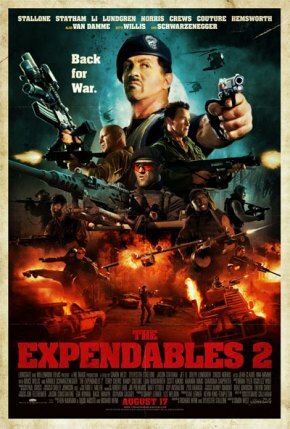 3 Commando, Lynch wants nothing more than to go back over the Channel and kick open Hitler's Fortress Europe, guns blazing. Lynch readily accepts the challenge, but when the mission goes awry from the very beginning, and the motives of the partisan leader become suspect, the Commandos begin to wonder about their role in the mission: trusted allies with the partisans, or worms dangling as bait for a hungry fish? 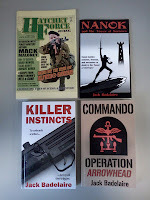 COMMANDO: Operation Arrowhead is a military action - adventure novel written in the spirit of classic war movies such as The Guns of Navarone, The Dirty Dozen, and Where Eagles Dare, mixed with military adventure fiction such as Len Levinson’s The Sergeant and The Rat Bastards series." Just wanted to post this quick review today before the weekend rolls around. 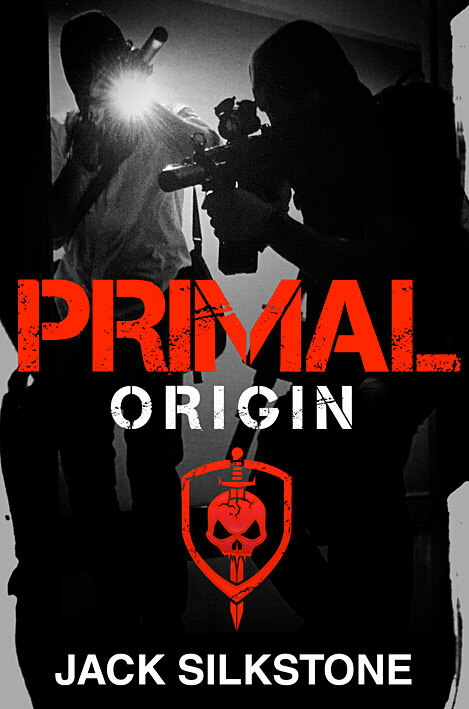 PRIMAL: Origin is a short story written by Jack Silkstone, an intelligence and covert operations expert with real time in the field. 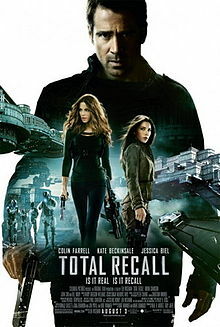 He's created an interesting premise with Origin; a trio of intelligence and couner-terror experts who go off the reservation, funded by a Middle Eastern business magnate who abhors terrorism and what it does around the world, who wants to lend some of his finances and resources towards creating a private, covert organization that can fight a global war on terror, writing their own rules and going after the guys that the governments can't (or won't) touch. Origin is the story that leads up to this premise, and although I might be leaking a few spoilers, Silkstone considers this short story a prequel to his PRIMAL series, so what happens at the end of the story isn't that much of a surprise. 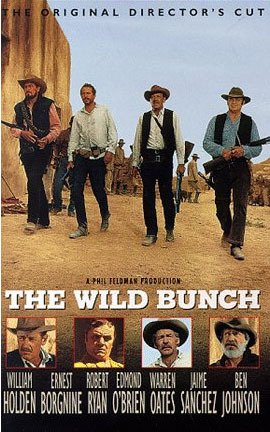 I think it's great to see a series like this, something that hearkens back to the Pinnacle and Gold Eagle days of men's adventure fiction, as well as to television series like The A-Team or Knight Rider, stories about men and women operating above the law in order to uphold the law: maybe not to the letter, but the spirit. 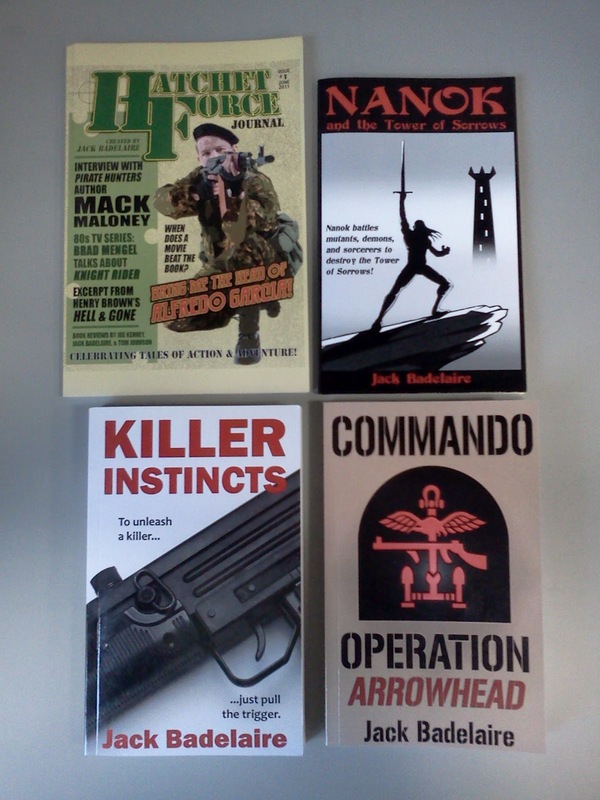 My to-be-read pile is filled to overflowing and I'm working my best to get COMMANDO: Operation Arrowhead out the door in the next week or two. But rest assured, I'll be reading the next story in Silkstone's series, PRIMAL: Unleashed shortly. Author and blogger Brian Drake has written a really insightful review of Killer Instincts. One of Brian's main points in the review is that in KI, the story isn't about the showdown between William and the Paggiano family, the story is about William's transformation from aimless college kid to cold-hearted killer. In short, the journey is the destination here. Of course, I think Brian says it a lot better than I can. Check out the review on his blog, Brian Drake at Large.